This was a really gripping storyline that most certainly is not for the faint-hearted. It is dark and disturbing but as we get to know the characters we see how they have quickly accepted their fate and become a part of this twisted captive family. Circumstances aside, it was actually really lovely to see how they all cared, helped and looked out for each other. A family of victims brought together by fate. I absolutely loved the way that this was written. Told from the point of view of Maya, who has been rescued from 'The Garden' and is being interviewed by the FBI. Maya plays her cards very close to her chest and reveals only what she wants to reveal in her own time and on her own terms. Maya describes how she was held captive in a glass walled prison, along with several other young women. Each woman has been tattooed on her back with a distinctive breed of butterfly and given a new name by the creepy Gardener. He loves his butterflies so much that he wants to keep them and admire them for the rest of their lives ...and beyond. Just thinking of that sends shivers down my spine. There are frequent references to and quotes by Edgar Allan Poe, as if the book itself wasn't dark enough. Maya quotes Poe in her head to help her cope with whatever violation is being inflicted upon her. Perhaps giving us some insight into how horrendous these attacks must be if Poe is giving her a flicker of comfort. The Gardener isn't the only perpetrator of these crimes though. He has two sons; Avery who is more twisted and damaged than The Gardener and Desmond, the younger son, who just wants to please his father but is chalk to Avery's cheese. I can't really go into too much more detail about this book without releasing any spoilers. 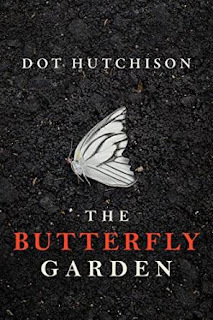 The Butterfly Garden is something so completely different to anything I have ever read before and I was amazed to see that Dot Hutchison has made such a seamless, jaw-dropping transition from YA to thriller. 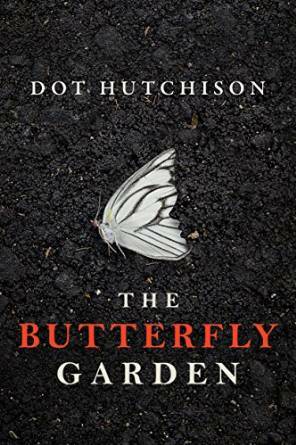 The Butterfly Garden is horrifying, shocking and deliciously dark - it's sure to be a big hit among psychological thriller fans and those readers looking for something that is most definitely a departure from the norm. 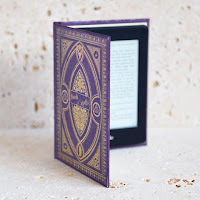 Following a recommendation from Maxine (Booklover Catlady), I received this e-book from the publisher, Thomas & Mercer, via NetGalley in exchange for an honest review.